Paleta season is upon us. Sold from bell-ringing ice cream carts and corner stores, the frozen Mexican treat comes in a hypnotizing array of colors and flavors, offering sweet relief on sweltering afternoons. Few things conjure summer like the thought of one dripping down your hand. One crucial rule: fresh and natural ingredients only. At Villagomez’s shop—the name is loosely translated as “mouthwatering”—fresh fruits, nuts, and other treats are loaded into metal molds and quickly frozen to preserve their vibrant taste (and appearance). Though Boca de Agua is one of several artisanal paleta shops in L.A., it is the first to expand into Venice’s hippest shopping drag. 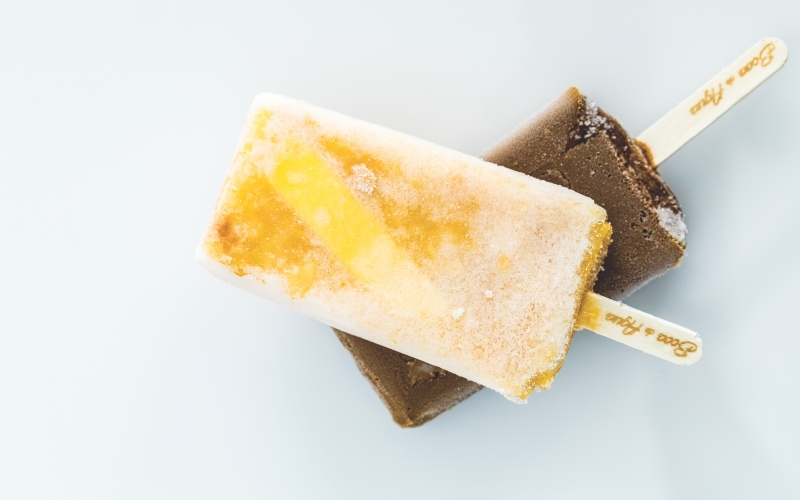 Richer and softer in texture than their fruit-based brethren, many of these milky pops riff on classic Mexican desserts like flan, arroz con leche, and Abuelita-brand chocolate. Look for strawberries and cream, pecan, leche quemada (scorched milk), creamy coconut, horchata, rum-laced eggnog with raisins, and cajeta (goat’s milk caramel). Blended with a little sugar or agave syrup and often a whisper of salt, these sorbet-like pops are usually studded with the pulp or chunks of whole fruit. Expect a range of flavors wider than what you’d find in any supermarket freezer case. Some favorites: mango with chile, tamarind, guanabana (soursop), guava, mamey, melon, pineapple, lemon, and cactus fruit.